By Bob Dylan. Music Sales America. Folk Rock. Harmonica songbook (softcover). With chord names, standard notation, harmonica notation, introductory text and performance notes. 56 pages. Music Sales #MUSAM932140. Published by Music Sales (HL.14004751). 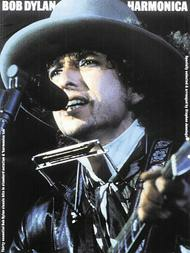 30 all-time great songs by Bob Dylan arranged for harmonica. As you go through the book, the music is progressively more challenging. The first 24 tunes are for both diatonic and chromatic harmonica players... while the final 6 can only be played on 12-hole chromatic harmonicas. 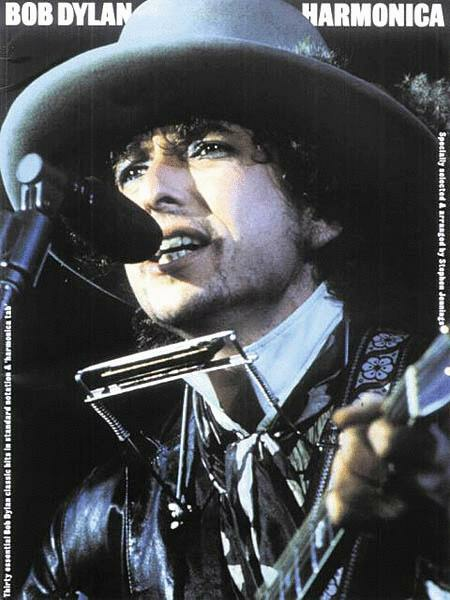 Includes I Want You; Lay, Lady Lay; Simple Twist of Fate; Tangled Up in Blue and many more. With the words and a CD, the sales would be ticking. July 31, 2005 Words "can" describe this! The book would be so much better if it contained the words. I all most Bought this, Book. Until I read it;Does not Contain Any of the Word's. If they revise it to have words. I will buy it. Am sure others feel the same. Thankyou. TallBear. September 06, 2002 No words! I liked the fact that the songs were arranged for harmonica, but the music does not include the words to the songs! The addition of words to this book would improve it tremendously.